Leading heritage photographer Steven Sklifas will present a lecture entitled “Photographic odyssey of the legacy and glory of the Ancient Greek and Hellenistic world”, on Thursday 30 March 2017, as a part of the Greek History and Culture Seminars of the Greek Community of Melbourne. It must be noted that the lecture will take place at the Ithacan Philanthropic Society (Level 2, 329 Elizabeth Street, Melbourne), at 7.00pm, and not at the Greek Centre. 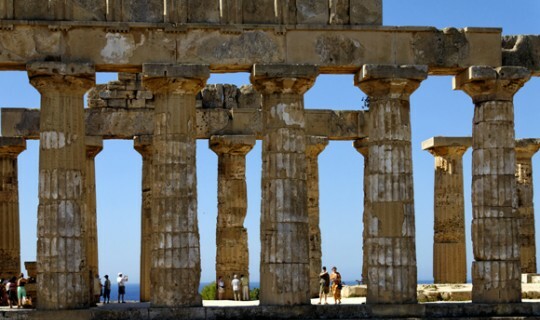 The Ancient Greeks founded and Hellenised hundreds of settlements all around the Mediterranean. Some of these settlements have endured the winds of change and thrived, while some others lay majestic in their ruins and provide a poignant insight to their former glory. This lecture will take the audience on an informative, insightful, and evocative photographic odyssey to ancient sites found in Greece and to those former Greek settlements throughout the Mediterranean highlighting the greatness, splendour, and enduring legacy of the Ancient Greeks. Steven Sklifas is independent freelance photographer who has travelled throughout the Mediterranean. He is considered a leading heritage photographer of the region. His images have been extensively published worldwide and have featured in exhibitions, academic and history books and travel magazines and newspapers. His images were included in the exhibition- “Power and Pathos: Bronze Sculpture of the Hellenistic World” which was held at the Getty Museum and National Gallery of Art Washington DC. Steven has also written several travel articles, for Australian newspapers.